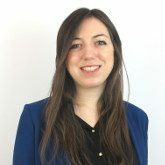 Ms. Eleonora Rossi was an intern at ISDP’s Asia Program for the 2017 Spring semester. She recently obtained a Master of Science in Crisis and Security Management at Leiden University, Netherlands, and she holds a Bachelor’s Degree in Political, Social and International Science from the University of Bologna, Italy. She has been Student Fellow on homicide at the Violence Research Initiative, Leiden University. Her research interests include history, politics and security issues of North-East Asia and Europe, organized crime, terrorism, urban resilience and crisis management. At ISDP, Ms. Rossi worked on the Korean Peninsula project.